On May 17, 2017 at 11:15-12:45, the Research Group on Diplomacy and Global Affairs will host a book launch of Dr. Carina van de Wetering’s new monograph “Changing US Foreign Policy toward India: US-India Relations since the Cold War”, which has recently been published by Palgrave Macmillan. The event will take place in Wijnhaven room 3.46. Dr. Carina van de Wetering&apos;s book uncovers how US-India relations have changed and intensified during the administrations of Bill Clinton, George Bush Jr., and Barack Obama. Throughout the Cold War, US-India relations were often distant and volatile as India mostly received attention at times of grave international crises, but from the late 1990s onwards, the US showed a more sustained interest in India. How was this shift possible? While previous scholarship has focused on the civilian nuclear deal as a turning point, this book presents an alternative account for this change by analyzing how India’s identity has been constructed in different terms after the Cold War. 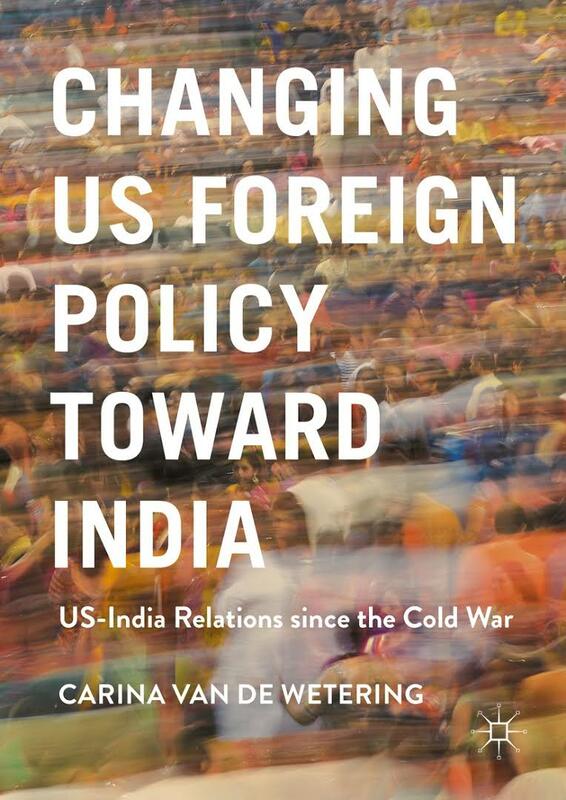 It examines the underlying discourse and explains how this enables or constrains US foreign policymakers when they establish security policies with India and improve US-India relations. Carina van de Wetering obtained her PhD in Politics with a specialization in IR (unconditional passing) at the University of Bristol, UK, in 2014. She took her BA and MA degrees in both history and political science at Leiden University. Her fields of expertise includes International Relations (IR), foreign policy analysis, security studies, and critical constructivism. More specifically, she is interested in US security policy, discourse analysis, American politics and history, India’s representation, Indian diaspora, rising and declining powers debate, knowledge communities, and think tanks. Currently, she is working on an edited book project on Trust and Mistrust in International Relations.